Every year, Tomi Ahonen publishes an almanac of industry numbers and analysis. He has consistently pointed out that the way he compiles and compares the numbers has, for several years now, embodied the view that smart mobile devices are computers. Here we take a look at how treating all computing devices as a single market can change your perception of priorities when making software development resource allocation decisions. We have prettied up the numbers he published in his blog with some graphs. We think the idea that computing devices are not just traditional PCs, and programming, especially interactive programming, is applicable to all interactive devices is valid and we should visualize the industry in a way that captures that idea. The graphs in this post should drive home just how thoroughly smart mobile devices have changed what you should be paying attention to when you think about what to target when you write a program, or create any product for the modern computing market. It's a big, big market. More than 1.5 billion devices that can run sophisticated interactive software are sold each year. What begins to emerge is a picture of a world out of balance. People have shifted to mobile devices. These devices are powerful enough to run any interactive software, but important and highly productive categories of software, like line-of-business applications in the enterprise, are stuck on big, heavy PCs. When you treat computers and smart mobile devices as a single market, some interesting things happen to your top 10 list. Yes, Samsung is that big. So is Apple. Lenovo is impressive, and expects to get bigger with Motorola, which, by the way, doesn't make the top 10. Neither do Toshiba, Acer, Asus, Fujitsu, etc. LG and Sony are both bigger than Dell, in unit volume. Sony makes a lot of PCs as well as mobile devices. Sony will drop in the rankings as they split off their PC business. It's a huge market, with lots of players. Samsung sits in the place Nokia used to occupy when Nokia was half of the handset business. The top three makers dominate, but that understates Apple's dominance and technology coherence across their product line. Apple created and still dominates revenue for mobile apps and other mobile content. You might think it would be difficult to enter this market. But it holds a strong allure to capital. 1% of a 1.5 billion unit computing device market is enough to make a big, profitable, and sustainable enterprise. Blackberry has some distance to fall before lack of volume or share are an existential threat to the company, but they also bear some overheads not shared by overtly me-too participants in this market. It takes money to maintain your own OS and ecosystem infrastructure. That's all interesting, for those keeping score, but what does this say about the future of the software we make? That chart is correct. 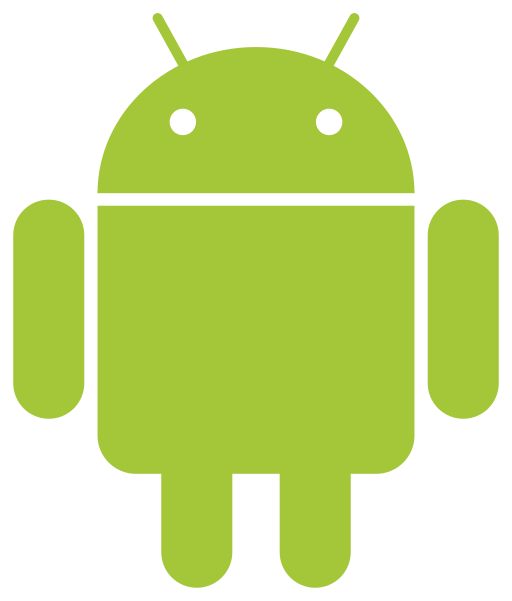 Android is the operating system running 60% of all computing devices. Approximately 850 million out of 1.5 billion new devices that can run interactive applications that were made last year run Android. Are you writing Android software? Are your engineers trained to write Android software? The New Hegemony has arrived. The also highlights the value of technology coherency across a product line and ecosystem. Apple is likely to continue to grow and retain their industry-leading position. While Apple is able to fight back by offering developers a more effective and more remunerative way to reach customers, Microsoft lacks that coherency and is at greater risk of slipping out of relevance in markets outside their stronghold of enterprise computing. Both Apple and Microsoft are, nonetheless, fighting a rearguard in terms of market share. Their share of operating system footprint will shrink over the next 5 years to the point where Android will occupy a similar if not identical place compared to Windows in the two decades where Windows held 90%+ share of PC computing. For software developers that means making Android the first target for your software, and making Android the core of your in-house competency is a priority, now. That means that if you are not starting long-lead-time projects now, for LoB enterprise apps now, you won't be ready when Android reaches 80% of OS share. It's possible that Apple might find a new product domain that is out of reach of Android, and that Microsoft could defend their position in the enterprise, but these hopes stand on shaky ground: Apple is unlikely to find that wearables are the answer to this problem, and Microsoft's failure to make a desirable Windows tablet robs it of a key weapon for defending enterprise seats. On the other hand, the "next billion" mobile device users, the vast majority of which are in developing nations, are very likely to find that their first smart mobile device runs Android. Android is also the most open of the three main platforms. While it isn't developed "in the open," the Android operating system and userland are open source software, licensed under the Apache license. That means Android has found wide applicability in categories that have yet to make an impact on these numbers, but almost certainly are destined to both add to the numeric dominance and to cement Android's place in the platform world for the long term: Cars will run Android. Cameras already do run Android. There is a label maker that runs Android and a label-making user interface based on Android. Medical devices, beds, appliances... almost any interface that now has buttons and a display will soon be a touchscreen and behind most of those touchscreens will be Android. So, while the peak near-total dominance of Windows, which at one point accounted for 98% of the origin of all hits on Web sites might not be literally repeated by Android, in large part because Apple is not the sitting duck it was back then, it is likely that 80% of interactive computing platforms will run Android, and maybe 90%+ at some point.